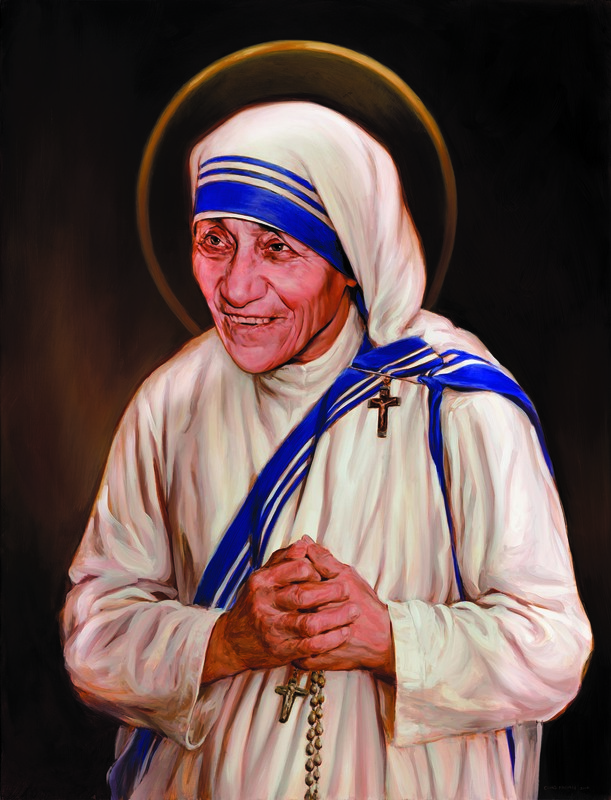 Home Blog A Simple Way You Can Join in Mother Teresa’s Canonization – Right from Your Home! Tens of thousands of people will gather in St. Peter’s Square September 4 for the canonization of Mother Teresa of Calcutta. I had plans to be there myself, with a group of pilgrims. But, God had other plans for me – major surgery that would not be healed in time to make the trip. So, my group of pilgrims joined another group and I’m here back home wishing I could be there. In a small way, I can. And you can, too. The Mass of Canonization will begin at 10:30am Rome time (3:30am Central Time Zone) and will be televised live on EWTN and CatholicTV . It will be broadcast live on Relevant Radio as well. Watching and/or listening live is the next best thing to actually being there. It gives us the opportunity to participate in the Mass spiritually (don’t forget to make a Spiritual Communion) in celebration of this great saint. Of course, 3:30am CT IS the middle of the night here in the US. Face it, some of us just won’t be able to lug ourselves out of bed at that hour or miss out on that much sleep staying awake. Yet, we still would like to participate – somehow. So, I have a little gift for you. You’ll notice that above is an image of the painting by artist Chas Fagan and commissioned by the Knights of Columbus for the canonization. Canonization, Catholic Church, Mother Teresa, Rome, St. Peter's Square, Vatican. Bookmark.